"Three years ago, my husband and I decided to completely renovate (down to the concrete) our condo in Panama City. We loved our unit at Edgewater, but it was very dated not having been upgraded since it was first built in 1993. The most difficult decision at that point was deciding who to use. The construction industry, especially during times of booming business, is not being universally reliable. We lived 6 hours away so finding a business or person with knowledge and integrity was, I thought, going to be difficult at best. My first stop was to a local carpet store. 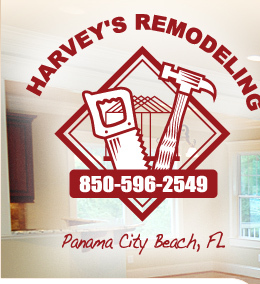 I was very blessed to be referred to Harvey’s Remodeling owned by Harvey Bane. I conducted my interview and I was immediately impressed with his apparent honesty and matter of fact attitude. In addition, he explained that if I chose to, he would act as the liaison between other contractors and me. In other words, he, at my discretion, made all the contacts, lined up dates, etc. This was wonderful given the distance I was from Panama City. I removed everything! My kitchen was gutted and redesigned. There were new cabinets, sinks, bathtubs, tile, ceiling tile, tubs – you name it – Harvey removed and replaced it. To completely give our aging condo a new look, he removed the sprayed on “popcorn” ceiling and replaced it by filling it in and painting it smooth. I was never told it couldn’t be accomplished, Harvey just worked at my ideas until he could find a way to accomplish the look I was after. I can also say this as a professional interior designer – you don’t often work with someone that can see your “vision” for what you are trying to achieve. 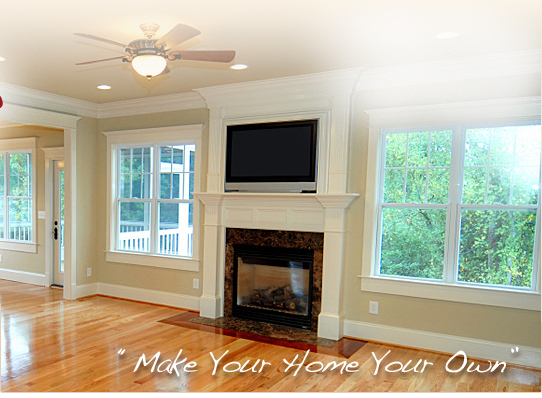 Lastly, it was refreshing to work with a contractor that had innovative ideas of his own. At his recommendation we put crown molding in all the rooms, however, we also did indirect lighting – this is what really set it off and apart. Our condo was completed and my husband and I are two very pleased customers. In addition, as one last note, with the original mass construction being completed, there are always odds and ends both large and small that as a condo-owner you continue to do. That is the other area that Harvey is a pleasure to work with, he works with you regardless of how big or small the job is, he is easy to contact and always follows-up with his work. You can tell that his primary goal is customer satisfaction!!!"